You have invested a lot of time and energy into your lawn. You installed a sprinkler system to make life easier and more cost efficient and with correct care the system can perform to its full potential. If your sprinkler system breaks down, Homewurx will be there to help you get back up and running fast. Call us for any freeze damage repairs. We are experienced sprinkler technicians dedicated to providing you with sprinkler repair solutions for your specific needs. We have all of the necessary equipment, skills, and knowledge to help you maximize the potential of your lawn. To service our customers we stock most common parts for your sprinkler system. We service all major brands of sprinklers systems including Hunter, Rainbird, Irritrol and Toro. We do repairs and service on backflow prevention devices such as, Febco, Watts and Wilkins and can install or replace all major brands of controllers including rain sensors. 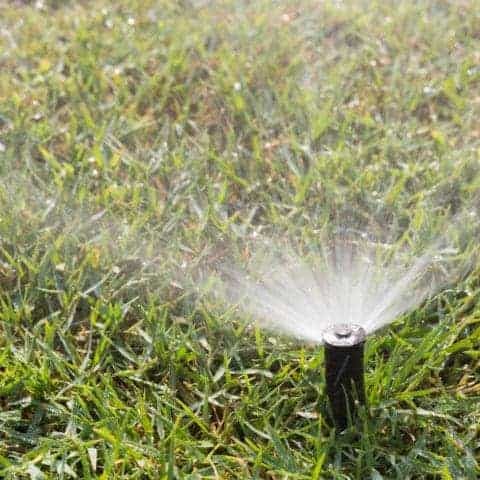 We can start up and correctly adjust your sprinkler system to get the best coverage and performance from it. Let us help you save money. We combine quality workmanship and knowledge to provide you with wonderful service. We have the experience to complete the project with integrity and quality. We are known for reliability and commitment to excellence. We use a large compressor to blow air through the back flow prevention device, manifold, and all the sprinkler zones including every sprinkler head to ensure that the water has been completely discharged from the system as well as draining into the basement to ensure there will be no damage over the winter.